Spring is finally here in Chicago, though some days might not feel like it, and with the change in season comes the beginning of an exciting time for any anime fan: convention season. Anime Central, the “big one” of conventions for the Chicagoland area, so to speak, is only a few weeks away, and judging by my Twitter and Facebook feeds, many of you are gearing up for a great time. As a craft beer fan as well as an anime die-hard, my favorite convention is happening this weekend – Dark Lord Day, hosted at 3 Floyds Brewing. Dark Lord Day is considered by many (myself included) to be the “big one” for craft beer. It’s a massive festival at one of the best breweries where some of the highest rated beer in the world flows for all to enjoy. 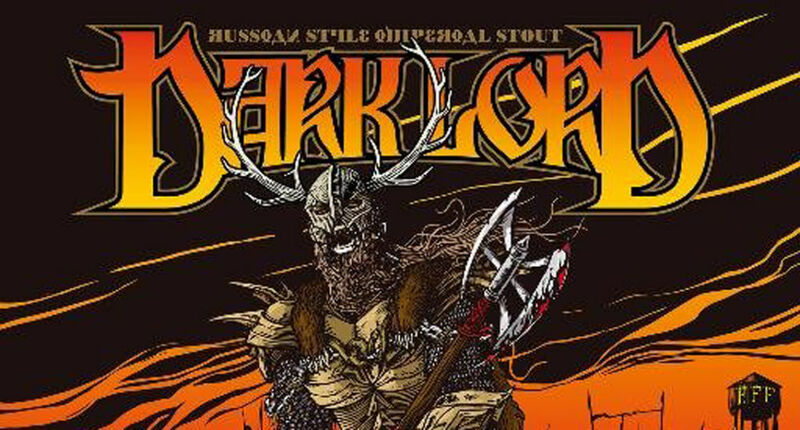 Dark Lord, for which the day is named, is 3 Floyds’ highly sought after luscious and damn near decadent Imperial Russian Stout that is only available on that day, because the entire stock of bottles sells out and the fleet of kegs run dry by the end of the night. Now, you may be wondering. “Why did you call Dark Lord Day a ‘convention’ if it’s just a beer festival?” The similarities between large anime conventions such as Anime Central and Dark Lord Day go much further than just “everyone has a badge”. In fact, besides the difference in subject matter, their structures are very much the same. The main focus of Dark Lord Day, as I mentioned previously, is the eponymous beer that 3 Floyds releases, but that is only the tip of the iceberg. 3 Floyds offers a whole plethora of sweet merchandise for the celebration, including beer glasses, t-shirts, and other apparel. On top of that, they usually invite other affiliated vendors to sell limited edition items, most of which are usually really cool and sell out fast. Last year, Dark Matter Coffee Company had an awesome set of mini snifter glasses that are perfect for both strong coffee and a pour of Dark Lord. 3 Floyds themselves had a very limited barrel-aged hot sauce using Dark Lord as one of the ingredients. With all this nice stuff up for sale, how can you not immediately draw a parallel to the dealer’s room at an anime convention? With the great wares available at Dark Lord Day come long lines, which any anime convention goer should be entirely familiar with. Sometimes it feels like anime conventions are 75% waiting in line and 25% content (more so if you’re talking about Anime Expo, where standing in line is the convention). However, Dark Lord Day has all anime conventions beat just for the fact that you can enjoy a beer (or more) while in those lines. If only a convention could find a way to make that possible without the need for the not-really-inconspicuous “bottle of soda” that everyone seems to carry at anime conventions. Viewing rooms are kind of a dying feature of anime conventions nowadays, considering that streaming services have all but made them obsolete. However, viewing rooms used to be a great way to experience anime you might not otherwise have been able to see, specifically because anime was relatively expensive, especially for younger broke college student me. And as much as I wish you could stream beer to your living room the way you can the latest anime releases on Crunchyroll, I don’t think we are quite there yet with the technology required to do so. Yet Dark Lord Day keeps the spirit of viewing rooms alive with the enormous number of guest taps available. Dark Lord Day usually has beer from some of the best breweries in the United States with some of the rarest releases imaginable. Craft brewing giants (at least in prestige, not actual size) such as Hill Farmstead and Cigar City send kegs of earth-shatteringly good beer. Now unless you are an active craft beer tourist, there are probably going to be many beers available that you might not ever be able to get your hands on. On the opposite spectrum of the viewing room’s dwindling popularity is the booming demand from anime fans for live acts. Years back, getting a live act from Japan was a rare treat, but now every large-scale convention needs at least 2 to be considered relevant. Dark Lord Day does this in spades, but only if you are a big metal fan. Personally, I’m not a huge fan of most metal, but the friends I have talked to who are fans say that 3 Floyds usually gets some awesome acts to perform. Unfortunately, not everything about Dark Lord Day is the same as an anime convention, and the biggest difference is that there aren’t many costumes to be found. Of course, this could be due in some part to the unpredictable weather that the end of April usually provides, but it is also in part due to the community. Let me be the first to say that I actively support more cosplay at beer festivals. I mean, many craft breweries have great label designs with awesome characters that are ripe for cosplay. 3 Floyds alone has sweet characters depicted on the labels for Dark Lord, Alpha King and Zombie Dust, just to name a few. Of course, there aren’t any panels at Dark Lord Day either, but serious discussion about beer happens practically everywhere, all the time. With that many like-minded craft beer fans all in one space where liquor is served, it is impossible not to have at least 3 discussions about breweries, beers and brewing techniques. One great thing about Dark Lord Day is that since you can bring in your favorite beers for tasting and trade, you can show, and not tell, people about the awesome beer you have found. Unlike an anime convention, where it really isn’t possible to show people your favorite series without sitting them down in front of a laptop or something, you can say “here, try this” and boom, you have a new fan. This is why I believe that Dark Lord Day is the best non-anime convention and is also why I love anime conventions in general. It is the overwhelming sense of camaraderie that persists throughout the event where people come together and share their passion that brings me the most joy. Although Dark Lord Day tickets are sold out for this year, as they usually sell out the moment they are available, I actively encourage any and all craft beer fans to go at least once. Also, if you happen to find me at Anime Central, mention this article and I might be able to hook you up with a taste of this year’s Dark Lord.